Clinical Information Centre (CiC) is an interactive computer-based program to help you explain conditions, procedures and treatment options to your patients. It can be used by anyone in the team who explains things to patients on a one-to-one basis � dentist, hygienist, treatment coordinator, practice manager, senior nurse. here are 220+ full screen animations like this one. A full List is available here. ... by helping the patient understand their condition and the treatment options open to them. ... by minimising the time it takes to explain conditions and treatments to patients. ... by using imagery which patients can easily understand. ... by improving communication with your patients using leading edge technology. The program covers 220+ topics, so most of the things you are likely to need to explain to patients on a day-to-day basis are included. Because the topics are animated, they are not threatening to the patient and also get information across very quickly � the animations last a maximum of a minute. You have complete control over the animations, being able to pause, skip, slow motion and even draw on them. This means you can tailor your presentation to the needs of each individual patient. 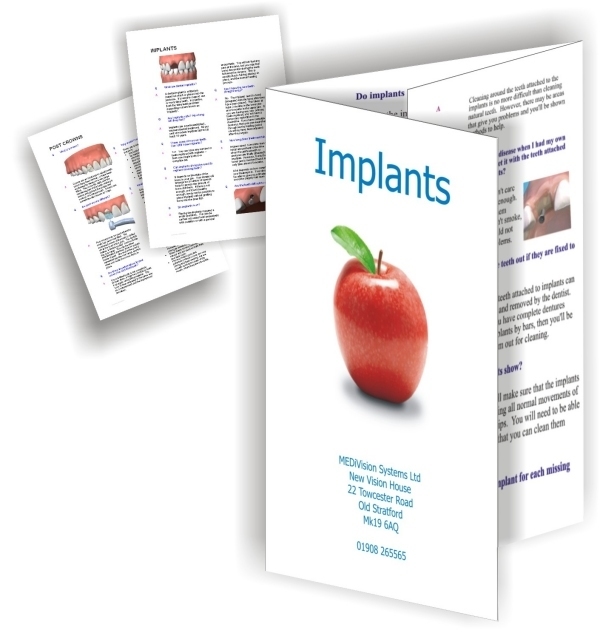 Patient information leaflets support the animations and can be printed out at the touch of a button. Most contain stills from the animations which helps the patient remember what you explained to them in the practice. The documents can be edited and a wizard enables you to add your logo, address, phone number etc to all the documents in one simple operation. See a sample leaflet here. The program contains a library of clinical images to which you can add your own. Patients often need to think about the treatment options they have been presented with and maybe discuss with family and friends. 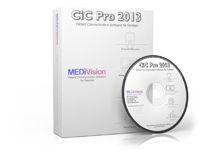 The Dental Connect feature in CiC enables you to send the patient an email to their home with a link to the animations and patient information leaflets they saw in the practice. This will increase case acceptance. Integrate With Your Practice Management System � the program records what you show a patient and this can be copied into your PMS system or printed out for patient record cards. CiC 2013 uses Microsoft Windows. Because the animations are moderately large running CiC "across" a computer network should be avoided when possible and instead it should be installed on the local PC. MS-Windows 7, Windows Vista� (32-bit or 64-bit editions), Windows� XP (SP2 or later), Windows ME and Windows 2000. Copyright 2013 MEDiVision Systems Ltd.